Want to try the Paleo diet? Follow this 30-day challenge and you'll be AMAZED with the results! 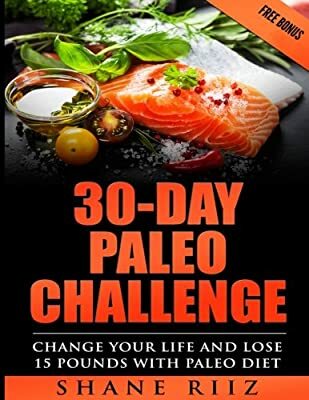 30-DAY PALEO CHALLENGE - Change Your Life and Lose 15 Pounds with Paleo Diet guides you through each and every step of the challenge everyday for the next 30 days. Yes that's right, EVERY SINGLE DAY! *Don't forget to claim your FREE BONUS at the end of the book!